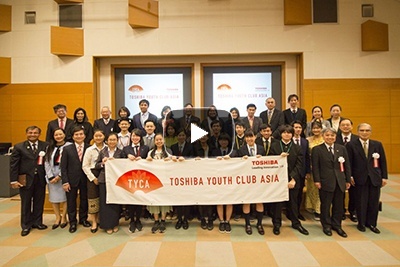 The comments of participants of Toshiba Youth Club Asia Vol.4 (December, 2017), an exchange program between Japanese and ASEAN high-school students, and their final presentation are introduced. 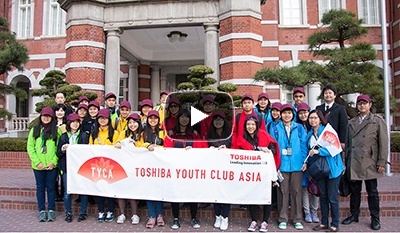 The comments of participants of Toshiba Youth Club Asia Vol.3 (March, 2017), an exchange program between Japanese and ASEAN high-school students, and their final presentation are introduced. 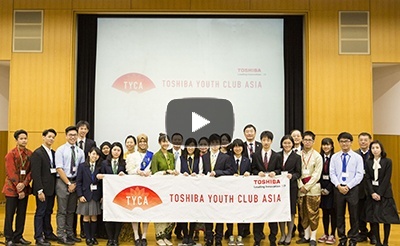 The comments of participants of Toshiba Youth Club Asia Vol.2 (December, 2015), an exchange program between Japanese and ASEAN high-school students, and their final presentation are introduced. 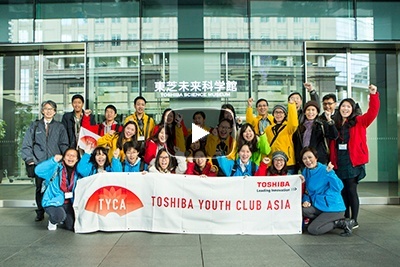 The comments of participants of Toshiba Youth Club Asia Vol.1 (March, 2015), an exchange program between Japanese and ASEAN high-school students, are introduced. Toshiba International Foundation honors the winners of its 25th anniversary essay contest. Awards Ceremony, June 22, 2015 The winners spoke on aspects of Japan they most value, and offered suggestions on messages for Japan to share with the world. We have made Kintaro hard candy as a novelty gift to mark TIFO’s 25th anniversary. There are three designs: 25 for the years, TIFO for the foundation, and 東芝, the kanji for Toshiba Cooperation. The candy-making process is, definitely is, must have is here　highly skilled and interesting, and we decided to make this video so you can see it for yourself. We hope you enjoy it. This year, TIFO celebrates its 25th anniversary. To commemorate this, we have created this 2-minute video review of our policies and activities. We hope you enjoy it.